‘Either you are with us, or you are with them’? As night follows day, Monday’s naxal attack on a civilian bus killing civilians has predictably led to the usual finger-wagging against rights activists and, in the quote-unquote patois of home minister P. Chidambaram, “civil society”, as if they, and not the Maoists, are the real cause of the continuing bloodshed in Dantewada. “Condemn the killings,” is the cry of shock jocks firing from the ramparts of TV studios, as if that will somehow change matters either for slain. Harvard-trained Chidambaram, who’s clearly alien to the thought of cross-questioning in a democracy, spares no opportunity to single out jholawalas who do the questioning. Predictably, in this Bushian “either you are with us or you are with them” realm, there is talk of the latest incident being the “game-changer”, the “tipping point” which will “turn the tide” against the Maoists. With Chidambaram claiming he is hampered by the “limited mandate”, there is talk of the use of “air power”, even while Congress president Sonia Gandhi talks of addressing the “root cause“. Lost in the tu-tu-main-main is the condemnation of the Naxal attack (here, here, here), something “uncivil society” now expects and demands of civil society, pro forma, pretty much like it expects moderate Muslims to stand up and make themselves heard whenever there is a terror attack by Islamist fundamentalists. Doubtless, the discerning will notice that having offered it once before, wise Mr Chidambaram is not offering his resignation this time. “An anecdotal story has it that as soon as the Constituent Assembly passed the resolution on universal adult franchise, a wise senior statesman said since they had made the masses their masters they should start educating them. But one section of our politicians felt and continue to feel that they will be in more effective control if the masses are kept poor and uneducated. “Maoism is an offshoot of this politics. You find this politics in the opposition to the Right to Education, land acquisition for highways and industrialisation, women’s empowerment, globalisation, and every progressive measure to uplift the population — as they shed crocodile tears for the common man. “Maoism is a political creed meant to subordinate the masses to an authoritarian and tyrannical regime by a self-nominated coterie, as also happens in some religious extremist dispensations. It has to be fought politically. But one finds the political parties — except one or two, targeted by Maoists — are themselves passive about taking the Maoists on ideologically. CHURUMURI POLL: Will the State beat Naxals? This entry was posted in Issues and Ideas and tagged Churumuri, George W. Bush, Karnataka Photo News, KPN, Maoists, Naxalite, Naxalites, Naxals, P. Chidambaram, Posco, Sans Serif, Sonia Gandhi. Bookmark the permalink. Chidambaram has no guts. He does not care for anybody, but if someone carries a gun kills a few hundred people he is ready for talks with that person. Now Congress might even strike a deal with Maoists for their support. These guys have money and support of uneducated people which makes them powerful in our flawed democracy. Looking at our country democracy feels like it’s the worst thing. In Bengalooru defence doesn’t leave a inch of road to help civilians and we see defence bars and big gardens plots for all north indian officers all over city. and see the names – One is Madras Group and another Delhi Command group. and they talk about civilians . Communists (and maoists) are nuisance in varying degrees. The only thing they are good at is to say “We Object” or “We protest” and in worst case “we fight to kill”. The folks who criticize govt. action against maoists and condone naxalites in any way are victims of muddle headed thinking. Nations can’t survive anarchy, however just their cause. USA had to fight a conventional war before it became great, but it did fight the war that was just. Even then it was ideologically driven war. We should ruthlessly destroy the Naxalites/Maoists. Having said that – The underlying causes that feeds anti-state movements should be addressed. Large scale creation of jobs, providing some basic land rights, that makes it difficult to take the land away are urgenly needed. If ruthlessly destroy Indian citizen fighting for their rights is the way to go – why address any underlying causes feeding anti-state movements? i.e. if providing basic rights, jobs, land is done, why the need to ruthlessly destroy Indian citizens asking for it? Easy for you to type from behind the keyboard, knowing you arent the target of the ruthless destruction. When those defence camps were first established, in most cases those were god forsaken places where no one would go and stay. Jalahalli, Chimney Hills, Yelahanka AFS, Iblur, etc. Even the Cantt. areas around Ulsoor were scorned at by the Bangalore dwellers of Basavanagudi for not being ‘real Bangalore’. And now that the city has grown without any proper planning, you expect the defence to move out of those lands? Had the city grown with some proper planning and foresight, we wouldn’t have needed to try ‘road widening’ every 2 years. And for your information, acquiring defence lands is the least painful. Once you get an OK from Delhi, you’ll get all the land you need, and most often for free. Try acquiring private lands at that scale, even at market rates. I am happy that we have green open spaces in Bangalore. We certainly need those patches in Bangalore. If the officers were South Indians, would that be ok with you??? I am a Kannadiga who is sick of hearing such bigotted regionalist nonsense from mostly other Kannadigas. Very well said. Now a days regionalism has gotten so much into people’s heads and lives that people have started giving a damn about national interest! When will you grow up ? OK from Delhi and that’s it- then please get it . So you mean we have given all powers to Delhi. Go to Delhi for everything and they will take survey and grant you your chickpea – slave disorder. If you move around the posh locality of sadashivanagar you can see houses without any storeys and still with a well maintained gardens. Your theory of because there is defence green patches are surviving is baseless. Maybe there is a tendency for Gowdas and Reddys (except Dr Sree Reddy) to sell off lands but we still have gardener gene in us. Anyways , I just mentioned it as an example to show the lust and love for the CIVILIANS that centre has that it’s making addadda uddudda statements now. From the crazy tolls on roads to seats in trains and planes to sites in BBMP to water to irrigation to anything you can think under sun as access to STATE/NATIONAL PROPERTY an ordinary civilian is a subject of harrassment in urban areas. Now calculate it’s measure on deprived people harrassed by police burning under 45-50 deg in landlocked regions of dantewada. The story is made up since the attack was on police bus which turned out having civilians in it. North or South Officers don’t matter – the disorder is evident to be caused from that organization which is mostly north. Please ask yourself how much of a Kannadiga you are. There is a tendency among our people to be Macaulay’s children or being Hindi children and Tamil children and still keep fantasizing being Kannadiga just to add more disorder to arguments. 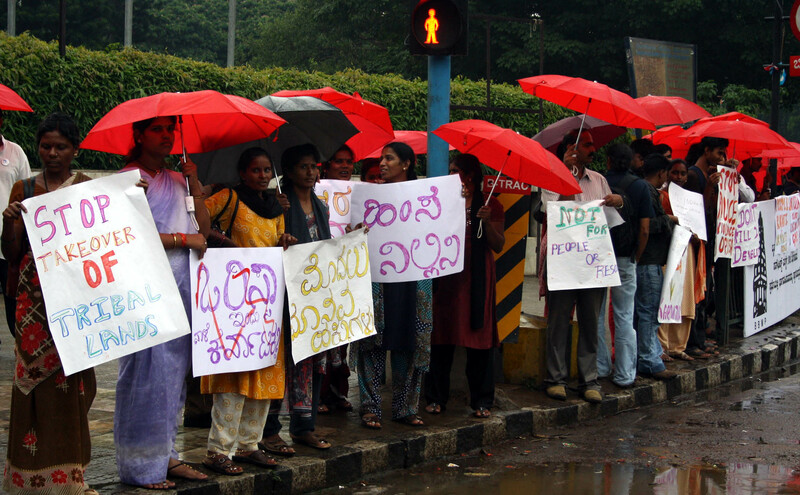 If you are a Kannadiga then feel the pain of a ordinary native civilian – Isn’t it valid? Why was Tughlaq always bashed then. He also invaded converted and built a Muslim nation. What’s difference between him and centre/ defence? It is you who needs to grow up. You are renowned on churumuri for your childish and irritating prattle. I must admit however, that your posts have become slightly more coherent and understandable these days. I am happy if the BBMP stops acquiring property for road widening, and instead spends its money on building new townships with excellent access to them through roads, trains and buses. Something like Gurgaon but with train connectivity instead of only road. Also, remember that people in Gadag/Bellary/Belgaum can very well crib about having to go to Bangalore for everything. In fact, they already do. But we just cannot avoid a basic degree of centralization. Murthy is the kind of guy who has a problem with everything in life. Even if the officers were South Indians, he will crib that Kongas, Mallus and Gultis are infesting Bangalore. Even if all his relatives are provided accommodation in those army camps, he will find a reason to whine. Its not a ‘baseless theory’, in fact it is not a ‘theory’ at all, dumbass, its what I see with my eyes. I see lush green patches around Jalahalli, Mekhri circle, Iblur on Sarjapur road, etc.. Its a welcome contrast from most of Bangalore where we generally see localities choked with unplanned and unauthorized structures with filth all around. Please stick your gardener genes where the sun dosen’t shine. Your sadashivnagar-type gardens are just 0.005% of the homes in Bangalore. And one final thing. You are a Kannadiga, just like me. I wanted to join the Armed forces but then decided that I wouldn’t like the discipline and rigour much, so I gave up the idea. You could have tried to join too, and you might’ve been in one of those defence camps instead of some North Indian. But then again, you might not, since you seem to be good only at typing disoriented nonsense and not really good for anything. Murthy, you plan to turn Mao to save Bangalore?! !